Have you ever thought of starting a business? The Australian Bureau of Statistics say there is over 2.2 million actively trading businesses in Australia. Phew! That is a lot. Who can you turn to when starting a business? What things to you need to consider? What structure are you going to trade under? Have you considered whether you will register a business name? Do you need to apply for a Tax File Number and or GST? Do you need any licences or permits to trade? Have you considered registering a domain name? Do you need to consider trademarking or IP? How are you going to keep your records? Are you eligible for any small business rebates or tax offsets? If this has left you feeling overwhelmed, don’t stress. There is help at hand. Every area has a local Business Enterprise Centre which runs lots of small business courses, and a business advisory program. This gives you the opportunity to sit with an adviser for free and discuss all your options and plans. As well as this, it’s a great idea to have a consult with an accountant to discuss the compliance options and needs for your new business. Start Fresh Accounting offer a free business consult if you are a new client. This gives you 30-40 minutes to sit with us and discuss things. 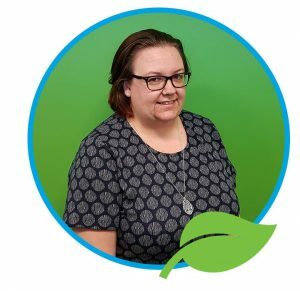 This blog is brought to you by Amy Woodley, owner and founder of Start Fresh Accounting.